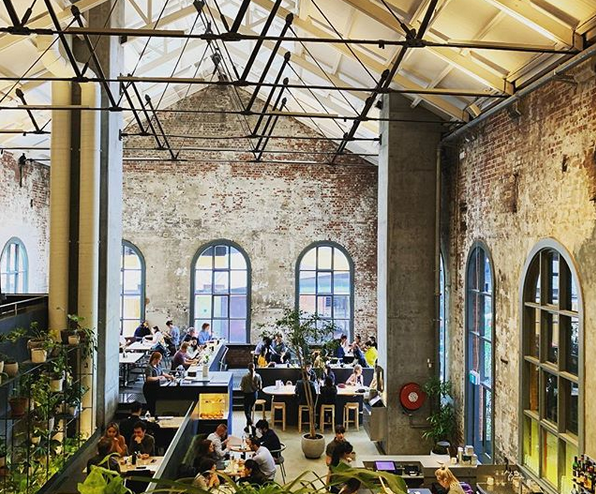 Melbourne's Mulberry Group has sold its hugely popular cafes, Higher Ground, Top Paddock and Kettle Black. Quick to snap up the packed brunch spots was the Darling Hospitality Group behind South Yarra's Darling Cafe, Dundas and Faussett cafe in Albert Park, pan-Asian diner Bambu in South Melbourne. Nathan Toleman, Ben Clark and Diamond Rozakeas of the Mulberry Group are stepping away after five years to focus their efforts on revamping Geelong's heritage-listed Beach House into a two-storey all-day diner and event space on the waterfront. It was slated to open in January but has faced delays after Heritage Victoria sent back planning permits. In April 2019 the team is also due to open Liminal, a cafe, wine bar and grocer all-in-one at 161 Collins Street, Melbourne. The Group is known for its stunning and award-winning cafe designs, and groundbreakingly beautiful breakfasts using native ingredients, like cured wallaby with the scrabbled eggs, and showered in edible flowers. First to open was Richmond's Top Paddock in 2013, which has had lines out the door ever since. It permanently changed the conversation around brunch in the city, famously blurring the line between cafe and restaurant. The innovative menus at each cafe will not change. A spokesperson for the Darling Group said in a statement: "With the acquisition now complete, each business will continue to operate as usual, each maintaining its unique character, menu and standards of presentation and service." The new owners took over yesterday but there have been no staff changes.